Do you remember the pika points you earned free of charge when you started a new game or completed a certain event? With BlueStacks 4, we now call them “BlueStacks Points”. Their names may have changed, but the benefits they have given you are still the same. We can even say that they have become much more useful now! There are a lot of things you can do with BlueStacks Points, and we’ll talk about them in this article and tell you how to get pro-gamer series of gaming gear you always wanted. 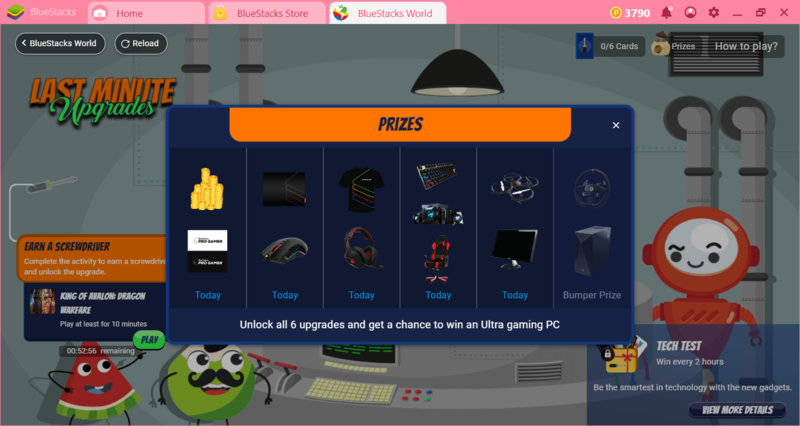 How To Win BlueStacks Points? The way you earn points is still the same: You can continue to earn them free of charge by launching BlueStacks 4 every day, installing a new game or playing a game. The points you earn will appear in the top right corner of your interface. In addition, it is also possible to purchase BlueStacks Points. You can do this through the BlueStacks Store. What To Do With BlueStacks Points? 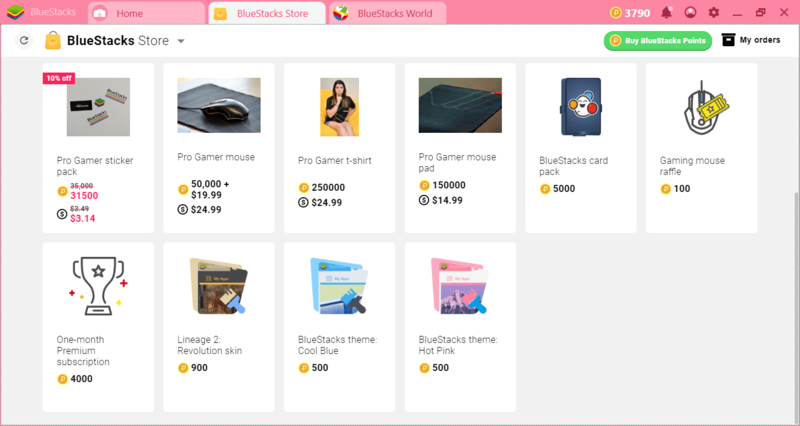 There are two places where you can spend your points: BlueStacks Store and BlueStacks Market. The first is a store where you can buy professional gaming equipment. A professional player mouse, a mouse pad or a stylish T-shirt: You can buy them from anywhere in the world with your points. New themes and a monthly premium subscription are also available. 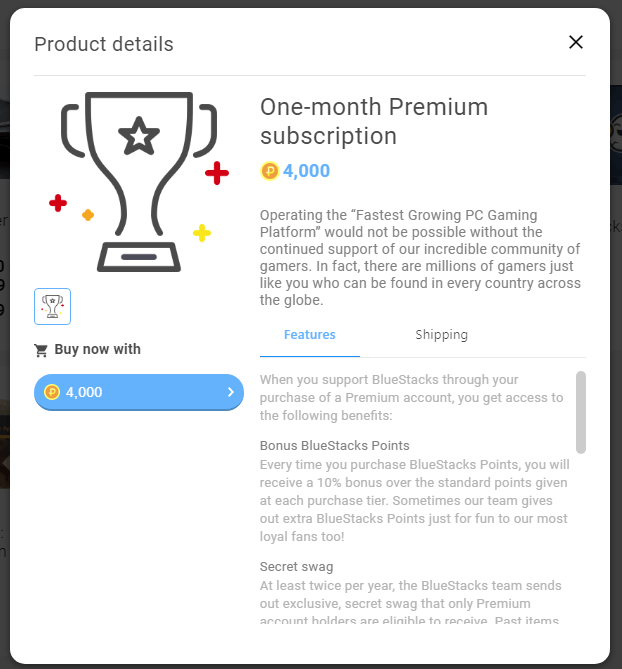 In particular, we recommend you to try the premium subscription: You will also win 10% more BlueStacks Points by subscribing. 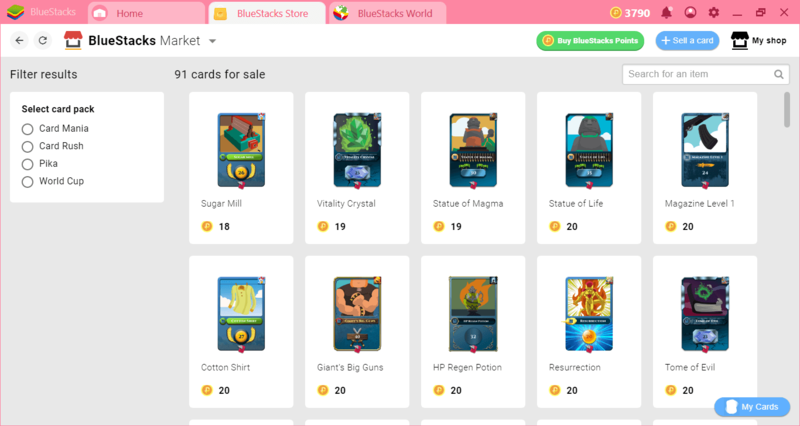 BlueStacks Market is a special store where you can buy cards. You can complete missing cards and packs from your collection here. 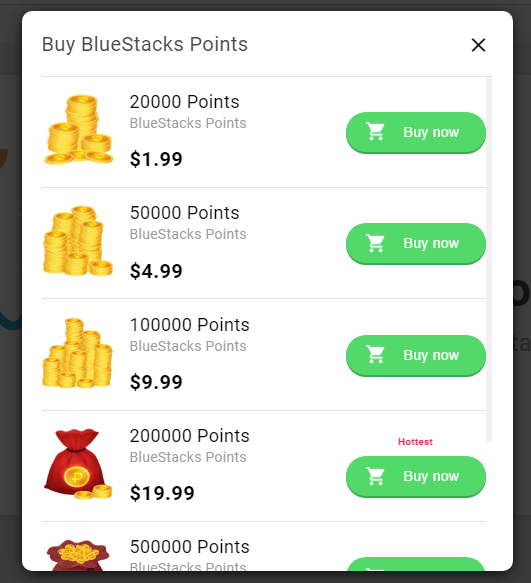 You can use this market not only to buy but also to sell: You can earn additional BlueStacks Points by selling the cards you do not need. Do not forget to complete the events in BlueStacks World: These events can provide you with new cards and gaming equipment. For example, as this article was written, participants of the ongoing event were getting the chance to win an ultra-gaming PC. 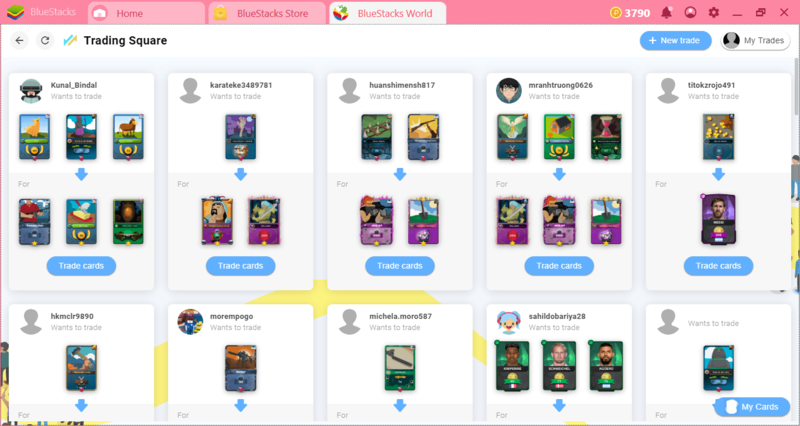 With BlueStacks World, you can also trade cards: The perfect opportunity to complete your collection. 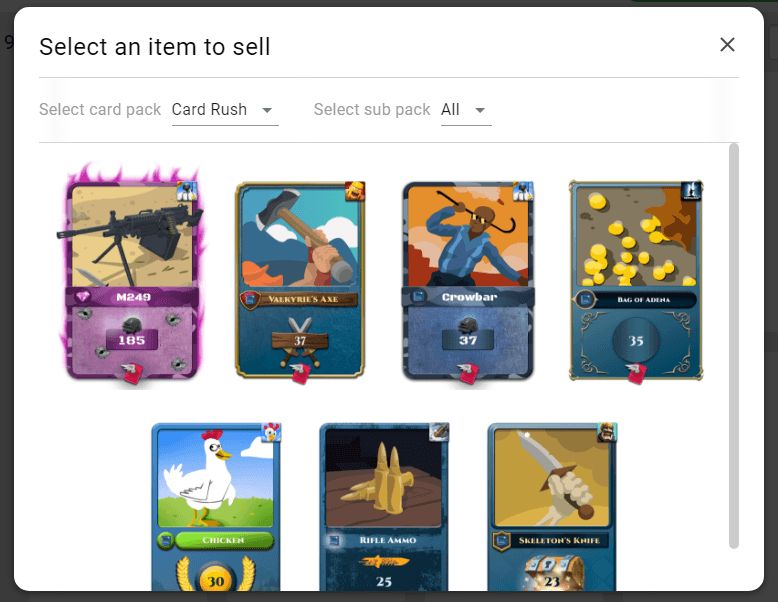 Talented traders can convert their acquired cards into BlueStacks Points by selling them on the market. We are sure that you will love the new BlueStacks Points: It is not difficult to get them and they can be turned into valuable, real-world gifts. Do not forget to visit the Store and Market frequently because their content is updated regularly. If you are an old and loyal BlueStacks user, you should have accumulated enough points to buy a professional gamer tool by now. If you are a new user, do not worry: You will start accumulating points soon!